How would you like to design your Greeting Cards? Cards you can personalise inside and out – complete with envelopes. Thank you cards, birthday cards, cards that say “you’re awesome” – a personalised greeting makes a card come to life. Create yours by uploading your own images or choosing a selection of ours. Then customise with your logo or a personal message. Want to sell your art, make an announcement, or say thanks? Do it with greeting cards – nothing beats getting a handwritten card in the mail. Find out how Marianna Peragallo, owner of Hand Plus Heart turned her hobby for creating greeting cards into a thriving online shop. 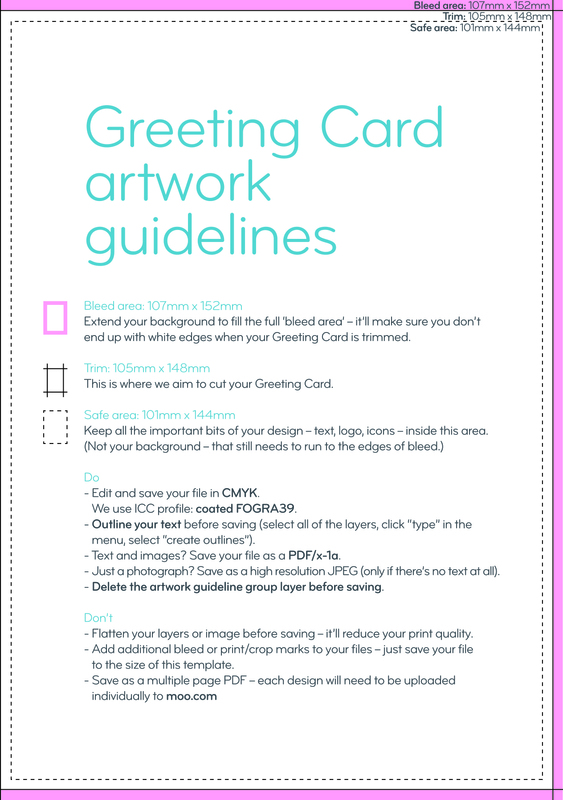 MOO Greeting Cards are 105mm x 148mm. Yes, our personalised Greeting Cards come with free white envelopes included. Why use MOO's Greeting Card printing service? It's a memorable way to send greetings. Vibrant colours on the outside. A lovely writing surface on the inside, and you can really feel the paper.